The automatic watch, also known as the self-winding watch, is one of the most common wristwatch variations. The ability for a watch to wind itself is also one of the earliest complications introduced to watches, though it was originally created for pocket watches. Today, most mechanical watches qualify as an automatic watch and relatively few models are of the manually wound variety. The history and technology of the automatic watch are interesting and lengthy. In this article, we’ll discuss the history of the automatic watch, offer details on some of the more interesting variations available, and offer a bit of insight as to why many buyers of wristwatches seek out an automatic watch when they’re looking to buy a watch. For convenience, we’ve divided the article into sections, making it easy to find the portions of the article that may be of most interest to you. By definition, an automatic watch, also known as a self-winding watch, is one where the mainspring that drives the movement is wound automatically through the user’s natural motion, rather than one that must be manually wound by twisting the dial on the crown. While most watches today are driven by battery powered quartz movements, the earliest watches, and all watches up until the late 1960s, were mechanical in nature. As these watches were powered by a coiled mainspring, the spring needed to be tightened on a regular basis in order to keep the watch operating. While winding a watch is a fairly simple procedure, it can be a bit of a nuisance to have to wind your watch and set the time every time you want to wear it. Keep in mind that today, accurate sources of time are readily available. Things were different a century ago, as cellphones and government operated atomic clocks were not readily available. If your watch stopped in those days, winding it again was a simple matter. Setting it again to reflect the time accurately might have been a bit more difficult, as you may not have had easy access to an accurate measure of the current time. For this, and other reasons, watchmakers sought to create an automatic watch that could wind itself during normal use, thus minimizing the chance that the watch would run down and stop keeping time. For a relatively complicated mechanism, the automatic watch is a surprisingly old development. The first automatic watch known was created in 1777 by Abraham-Louis Perrelet. This mechanism was installed in a pocket watch using a weight that moved up and down while the wearer moved. An article published at that time stated that the watch could be fully wound by fifteen minutes of walking by the user. Several other inventors developed their own versions of the automatic watch during the next two decades, including Hubert Sarton and Abraham-Louis Breguet, who founded a watch company that bears his name and which is still in business today. For whatever reason, the automatic watch did not catch on among pocket watch makers, and the technology was largely forgotten for more than a century. Several different methods of creating an automatic watch were developed early in the twentieth century. The earliest successful version of an automatic watch was created by John Harwood, an English inventory wo received a patent for his design in 1923. 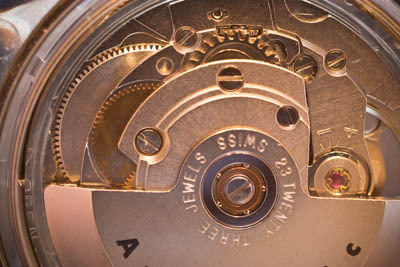 Harwood’s system used a rotating weight on a pivot inside the case that swung back and forth as the wearer moved. This mechanism would the watch while moving only in one direction, and then it freely swung back to its starting point. Springs, or “bumpers,” at each end of the weight’s stroke allowed for the back and forth motion. The motion of the weight hitting the bumpers while the Harwood automatic watch was being worn could actually be felt by the wearer, which was certainly a downside to this early variation of the automatic watch. Still, the watch was capable of running for 12 hours without being wound, and the early Harwood watches were financially successful. The company reportedly sold tens of thousands of watches before going out of business in 1931 due to business problems related to the Great Depression. About that same time, Rolex introduced their first automatic watch, likely based on Harwood’s design. Unlike the Harwood movement, which used a weight with a limited range, the Rolex movement used a semicircular weight that was able to rotate about the center of the watch with a full 360° range of motion. This eliminated the “bumpers” as well as the jerking motion that accompanied the movement of the rotor in the Harwood movement. 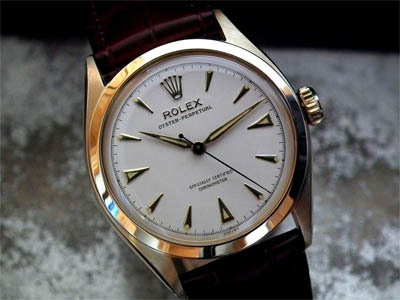 The system used in the Rolex movement, or some variation of it, is used in most automatic watches today. 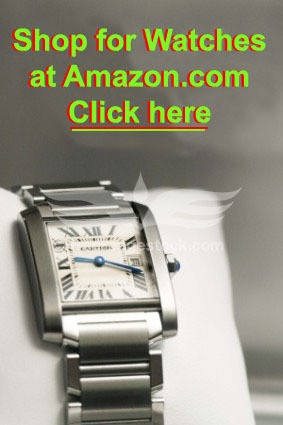 Click here to shop for an automatic watch at Amazon. There are several factors that need to be considered when designing an automatic watch. Keeping the size of the complication to a minimum is an important concern, as there is a limit to how large a watch a member of the public is likely to wear. An automatic watch movement, by requiring additional hardware over a manually wound movement, will necessarily take up more space. Another consideration is to ensure that the mainspring does not become overwound. While it’s possible to overwind a mainspring with a manually wound watch, most wearers can feel tension as they wind the watch and learn where to stop before winding it so far as to do damage. With an automatic watch, the watch is wound continuously through the day as the watch is worn. Without a safety mechanism in place, every automatic watch that is worn on a regular basis would likely become overwound, resulting in a broken mainspring. This problem was overcome by introducing a “slipping clutch” device. The outer end of the mainspring is usually attached to a circular spring called a bridle that attaches, via friction, to the barrel of the watch movement. If the mainspring is not at full tension, the bridle will press against the barrel with sufficient force (and the help of some notches in the barrel) to hold the mainspring in place. When the watch has been sufficiently wound, the mainspring pulls in the bridle just enough to break that friction against the barrel. This causes the bridle to “slip” if the mainspring is wound any further, thus preventing damage. This mechanism works on an automatic watch with both automatic and manual winding, as most (but not all) self-winding watches can be wound manually, if necessary. That’s not really true; it is still possible, though unlikely for a mainspring to break. The addition of the clutch, along with improved metallurgy and stronger, more flexible alloys, has simply made such breakage far less likely. One problem with both an automatic watch and a manually wound one is knowing when to wind it. All mechanical watches will stop running without winding, but until the late 1940s, no one knew exactly when a watch might stop. If you owned a manually wound watch with a sufficiently powered mainspring, you might be able to simply wind the watch once or twice a day at a regular time. With an automatic watch, the timepiece would continue to run as long as you were wearing it. But what happens when you stop? The watch will eventually stop running. 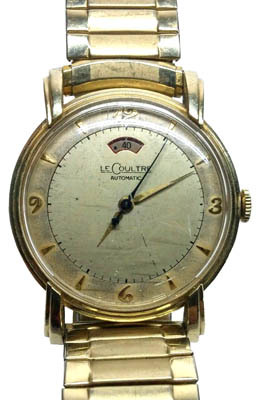 In 1948, the Swiss watch company Jaeger-LeCoultre developed their Powermatic series of watches, which introduced a devide known as a power reserve indicator. In the watch world, the term “power reserve” generally refers to the amount of time that a watch will continue to run from a fully wound state without further winding. This is generally measured in hours. 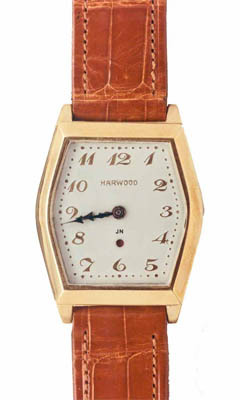 The early Harwood automatic watch models would run about 12 hours without further winding. The early Rolex automatic watch models would run about 35 hours without winding, which was more than sufficient to ensure that when you removed the watch from your wrist in the evening that it would still be running and keeping time when you put it on again the next morning. The Jaeger-LeCoultre innovation was to add a power reserve indicator to the watch. This was a display on the face of the watch itself that would indicate to the wearer how much time was remaining before the watch would stop running. Power reserve indicators are now a fairly common complication on an automatic watch. They indicators are generally marked to show the wearer how much time remains in hours before the watch runs down, or, in the case of a manually wound watch, how much time remains before it needs to be wound again. In reality, the indicator is showing how much power remains in the mainspring, which usually needs to be wound to at least 30% of its capacity in order for the watch to run accurately. Though the automatic watch became available through Rolex in the 1930s, the feature did not become popular until the mid-1950s. While most mechanical watches sold today are of the self-winding variety, there are both advantages and disadvantages of owning an automatic watch over a manually wound one or a quartz model. An automatic watch is self-winding – This is the primary function, and if you own an automatic watch and wear it regularly, the watch should run continuously without further interference on the part of the wearer. More accuracy – Obviously, if the watch is running all the time, it will likely keep better time than a manually wound watch that may run down from time to time. Plus, a watch tends to keep better time if the mainspring has a consistent amount of tension on it. Wearing an automatic watch on a regular basis should keep the mainspring tight and allow the watch to keep running accurately. They are ready to go – A manually wound watch that hasn’t been worn in a day or two will likely not be running. You will not only have to wind it before wearing it, but you will also have to set the time. If it hasn’t been worn in a long time and you also have a calendar complication, you will also have to reset the calendar. Depending on the watch, and the type of calendar you have, this could be quite an inconvenience. Price – An automatic watch is necessarily more complex than a manually wound watch. As such, the price would likely be higher for an automatic watch than it would be for a similar manually wound model. Today, modern manufacturing has made automatic watches fairly affordable, though they did carry a significant premium in price when they were first brought to market. Size – As the movement that includes a self-winding mechanism takes up space, an automatic watch is usually going to be larger than a manually wound one. This difference in size is usually in thickness, rather than in diameter. There are exceptions, as a number of Swiss watchmakers have tried, with varying degrees of success, to create a “super thin” automatic watch.One interesting approach to this was brought to market in 2007 by Swiss watchmaker Carl F. Bucherer, which developed an automatic watch that does not use a traditional rotor. Instead, the watch uses a weighted ring that encircles the entire movement. One advantage of this type of movement is visibility; a lot of high end watches have transparent case backs so that the wearer, if they want to, can remove the watch from their wrist and watch the movement in action.This is less appealing with a traditional automatic watch, as the rotor takes up a lot of space and obscures the view of the movement itself. The Carl F. Bucherer movement, on the other hand, has no rotor, which leaves the wearer with more to see. Weight – As an automatic watch is more complex and requires more hardware than a manually wound one, it will not only be somewhat larger, but it will also weigh a bit more. While an automatic watch shouldn’t present any problems that any other watch wouldn’t present, there are a few things that could keep your automatic watch from running correctly. 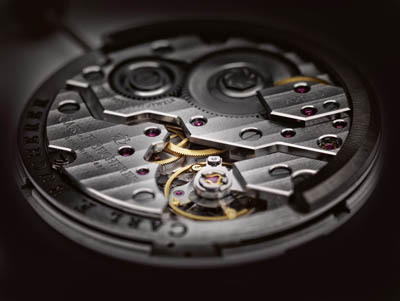 Magnetism – Though there are exceptions, the movement in a typical automatic watch includes marts made from steel. While not every part may be made from steel, enough steel parts are present that the watch may stop running if it is exposed to a strong magnetic field. There are a number of places where you might encounter a magnetic field, such as getting too close to a magnetic resonance imaging machine in a hospital.You can also expose your watch to magnetic fields by getting it too close to a pair of speakers, and we have even heard reports of watches being damaged by being kept too close to a smart phone. Any device with a magnet attached, such as the clasp on a purse, can also cause problems.Fortunately, it is possible to demagnetize an automatic watch, and many large jewelers or watch repair shops should be able to do this for you. Water – Most automatic watches sold today are water resistant to some degree. That degree can vary from “It’s OK to wear this while washing your hands, but don’t get it more wet than that” to watches that are suitable to wear while swimming or diving.Still, all watches, regardless of their rated water resistance, are subject to water damage. The back of the case will be protected by a water-resistant seal, but that seal can become damaged over time. Similarly, the crown where you wind the watch is also protected by a seal, but that seal can become damaged. It can also fail to work if you leave the stem pulled out by accident.All seals can wear out over time, so it’s best to have your watch examined every few years by an experienced jeweler or a representative of your watch manufacturer. Most watches with water damage can be repaired, though it may not be cost effective to do so. That will depend on the type and brand of automatic watch that you own. Not being worn – An automatic watch will work best if it is worn on a regular basis. This keeps the movement running smoothly. A watch that has not been worn in a long time may show some reluctance to run once you start wearing it again. Over time, grease, oil and other lubricants in the watch movement can solidify during periods of non use.Most of the time, you can simply wind the watch manually and it should start to run again and keep good time. If not, it’s best to take it to a service technician and have them give it a good cleaning. Owning an automatic watch is simple enough. Wear it every day and it will run and keep good time. What happens if you cannot wear your watch every day? What happens if you own, as many people do, more than one automatic watch? You can’t wear three or four (or ten) watches at a time. You certainly don’t want to spend every morning winding and setting your automatic watch. After all, the very reason you bought self-winding watches is so that you could avoid having to wind them. The solution is a device known as a watch winder. A watch winder is a storage device an automatic watch that will wind it when it isn’t in use. Watch winders come in a variety of sizes, ranging from small enough to hold a single watch to large enough to hold 40 watches or more. Many of them are designed to be attractive pieces of furniture that will look just fine in your bedroom or dressing room. Inside these devices are microprocessors and motors, and while your watches are being stored inside, the watch winder will rotate them periodically to simulate the sort of movement that winds the watches automatically. Older models of watch winders were crude and were prone to continuously winding the watch, which could have deleterious effects. Newer models are user-adjustable. You can control how often the watch rotates, and in what way the rotation moves the watch. This way, you can own a number of automatic watches and any one of them will be ready to wound, set for the correct time, and ready to wear whenever you’re ready to go. Prices for watch winders can vary dramatically depending on size, materials and the controls for winding the watches. You could pay as little as $40 for one or $10,000 or more. 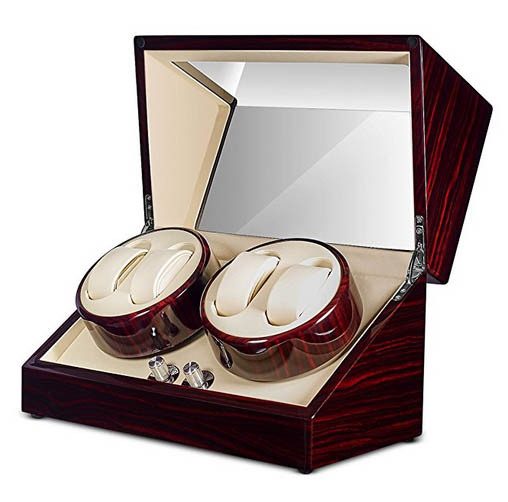 If you own more than one automatic watch, a watch winder would likely be a good investment. There have been many advances in automatic watch technology over the years. Some of them were simple, like using a ball bearing to support the moving rotor, rather than the jeweled bearing that had been used previously. Others, like the Carl F. Bucherer movement described above, more or less reinvented the automatic watch completely. SISTEM51 was a recent development by the Swatch group as a way of making an automatic watch affordable to produce. Swatch began as a Swiss consortium that was trying to help the industry recover from the “Quartz Crisis” of the 1970s that threatened to put the Swiss watchmaking industry out of business. The arrival of inexpensive quartz-powered watches from Asia threatened the two century-old Swiss watchmaking industry, as the mechanical watches from Switzerland were not as accurate as the competing quartz brands but cost more to produce. Swatch introduced the inexpensive but attractive quartz watch in a plastic case that was designed to appeal to buyers aesthetically while striking an affordable price point. Swatch recently developed a mechanical watch, known as SISTEM51, that allowed the company to introduce an attractive automatic watch to their customers at an affordable price point. SISTEM51 more or less reinvented manufacturing of the automatic watch, as the Swatch model uses only 51 parts that are comprised of 5 different modules. Everything is attached at a central pivot point using a single screw. 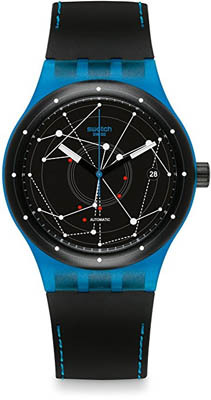 The Swatch SISTEM51 allowed the company to produce automatic watches that are completely manufactured by machine. Previously, all self-winding watches had to have some human intervention, even if it was only adjusting the finished timepiece for accuracy. SISTEM51 uses computers to do everything, including adjustment, which means that the entire watch can be assembled by machine from start to finish. The end result is a mechanically simple automatic watch that is attractive and which can be sold at an equally attractive price point. Kinetic Direct Drive) from Seiko in the mid-1990s. The Seiko watch is not an automatic watch. Instead, it is a quartz-powered watch that is driven by a battery. What makes the Kinetic Drive interesting is that Seiko used a mechanical rotor that is very similar to the ones used in an automatic watch to recharge the battery for the quartz movement. That way, as long as you wear the watch on a regular basis, the watch battery will maintain a charge via the actions of the rotor. Early versions of the Kinetic Drive had one serious drawback – you could only charge the battery through motion. If the battery wound down through lack of use, you had no way to recharge the battery, other than to put the watch on and wear it. 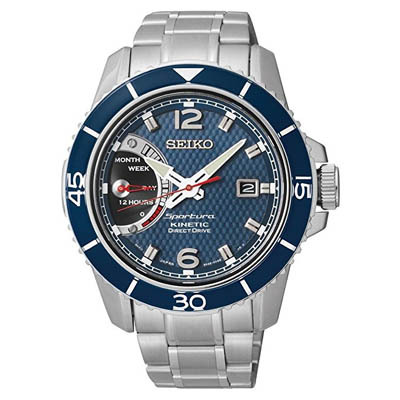 This wasn’t practical, and the current version of the Seiko product is known as the Kinetic Direct Drive. These watches can be recharged by winding the crown, and the power reserve indicator on the face of the watch will, for a few seconds, show you how much charge you have added to the battery. Then it will show you how much power remains. It is interesting to see that even in the age of quartz watches, the technology from the automatic watch is still useful. While the techology behind the automatic watch is now nearly 250 years old, it remains in use today. Many high end watch companies still produce automatic watches, and they continue to offer accurate timekeeping along with the convenience of simply running whenever you need them to. 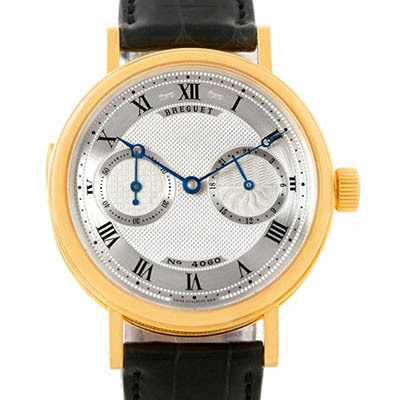 Automatic watches are available across a broad range of price points, from inexpensive Chinese-made models that can be purchased for little more than the price of a movie ticket to ultra-high-end limited edition models from longtime industry leaders such as Audemars Piguet, Patek Philippe, Zenith, Breguet and Rolex. A well-maintained automatic watch can keep good time for decades to come.